Thank you for taking this journey with me through the Reader’s Companion for the second, revised edition of Gift of the Dreamtime. I created this ebook Companion to discuss what changes were made to the original text, detail peripheral events and processes brought up in the book, and to respond to reactions I received when Gift of the Dreamtime first came out in 2004. The book was first published by Spilled Candy Enterprises. I’d spent a year to the date shopping the manuscript when publisher, Lorna Tedder, acquired it. I was thrilled to work with Spilled Candy and remain ever grateful for the experience. At the time that I wrote this book, the publishing industry didn’t allow much expansion on the understanding of shamanism beyond academic and anthropological assessments. In short, they only understood, thus published, what I call “rearview shamanism,” a perspective that accepts shamanism as a thing of the past and not a thriving spiritual practice of the present. Books that had managed to be published extolling modern shamanism generally fit the formula of self-help books. 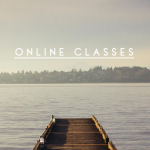 They followed the formula of introspective memoir, followed by interpretation of shamanic events in mundane life, then closed with insights to engage the reader’s personal reaction to the text. None of them shared their shamanic narrative. None of them offered a glimpse into the other world experiences that brought healing. I chose to write Gift of the Dreamtime from within that journey space so that reader’s could understand how shamanic healing really works, and Spilled Candy understood that purpose when other publishers didn’t. I remain grateful for Lorna’s insight and professionalism. Thank you for taking that first formed trek with me into the Dreamtime. Thank you for returning. For those of you new to the journey into The Dreamtime, welcome and blessings along your way. I’m very excited to present this new edition, along with this Reader’s Companion. First off, if you haven’t met Christina Pratt, who wrote the foreward for the second edition, you need to. She’s author of An Encyclopedia of Shamanism, and the founder of The Last Mask Center. She’s an amazing shaman and wonderful person. Know her. Listen to her radio show, Why Shamanism Now, and you will find great support on your path, as well as direction. If you’ve read the first edition, you will notice subtle changes to the text. The most evident change is the removal of the introduction to ecstatic journeying at the end. I chose not to include this section, as to really do justice on soul travel requires an entirely other book, which no doubt, others have already written more eloquently than my hurried end notes. Instead, for this edition I chose to stick more closely to my original intention for the text, which was to provide grounded insight into my process in creating initiations into shamanhood, thus leaving some sort of map for readers to do the same. The book now closes on an introduction to the role of the shaman in a community. I had no idea where my foray into shamanic healing would take me. 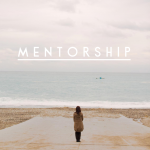 As such, resources for mentorship were slim. Gift of the Dreamtime tells my personal story of soul healing. 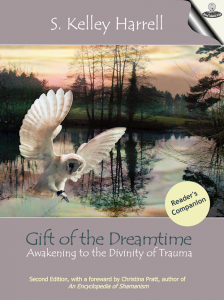 Gift of the Dreamtime tells my personal story of soul healing. At the time that I wrote it, I didn’t realize that it also chronicled the collective tale of initiation along a broken path, as many modern shamans have done. The Reader’s Companion divulges the impact of that journey on my personal life. I’ve also written extensively about this cultural quest in my column on The Huffington Post and at my blog, Intentional Insights, and look hopefully toward the future of what modern shamans bring to The Dreaming. The Reader’s Companion is available only by ebook. Enjoy Gift of the Dreamtime in print and ebook format. It can be ordered by any local book shop. If you would like a signed first edition of Gift of the Dreamtime, please contact me directly. Read an excerpt and praise for Gift of the Dreamtime.